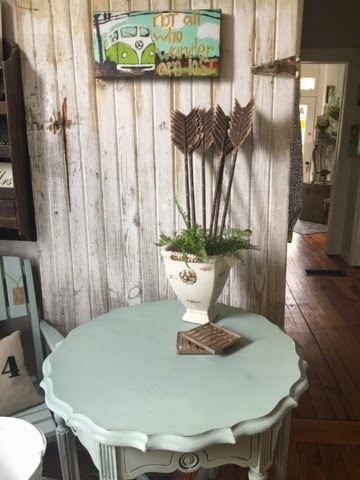 I love Wednesday because I get to open the shoppe again! I did a bit of restyling and am excited to show off my goods! 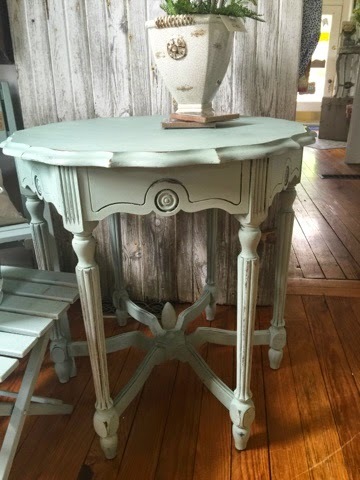 This beauty was restyled in the fabulous Maison Blanche Paint-in Creme de Menthe. So pretty! She has taken her place in front of my latest score-barn door! You know how I love doors, especially one pulled from a barn! 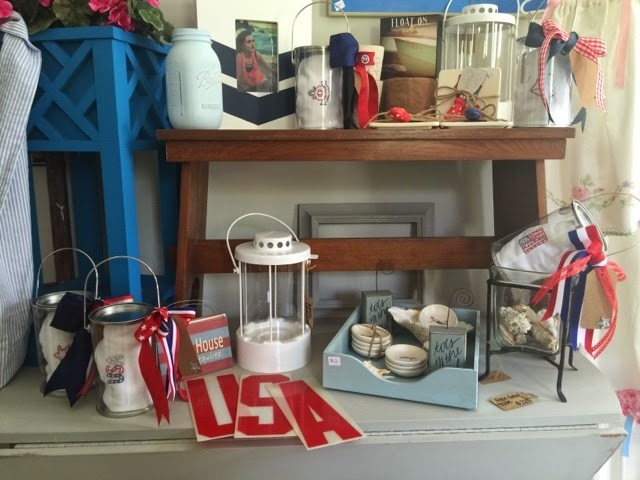 We have added to our summer section and will continue to do so. 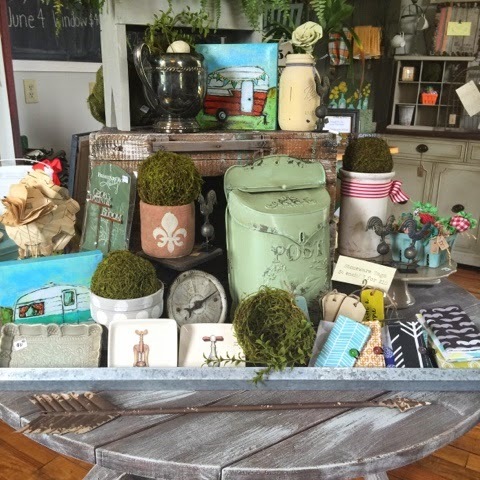 Pop in and see the shoppe, we have goodies for your cookout this weekend too.